Valves are elliptic to broadly lanceolate with acutely rounded and sometimes slightly protracted apices. 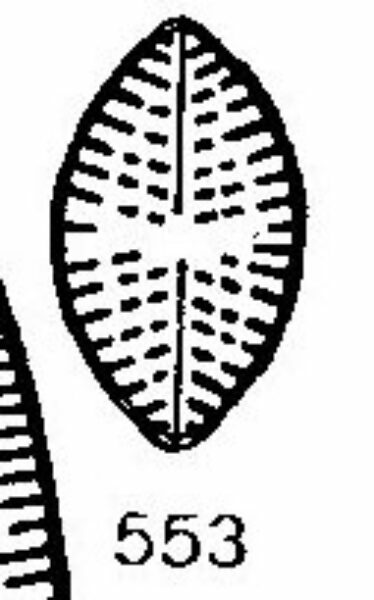 Axial area is narrow and linear in small specimens to narrowly lanceolate in larger specimens. Central area is a transverse fascia delimited by 3-4 irregularly shortened striae on each side. The raphe is weakly lateral and somewhat undulate with distinctly dilated proximal ends. 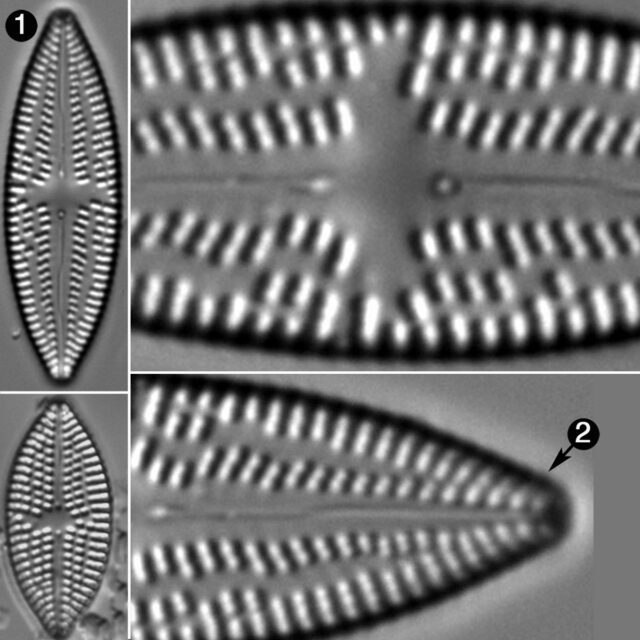 Striae are radiate throughout. 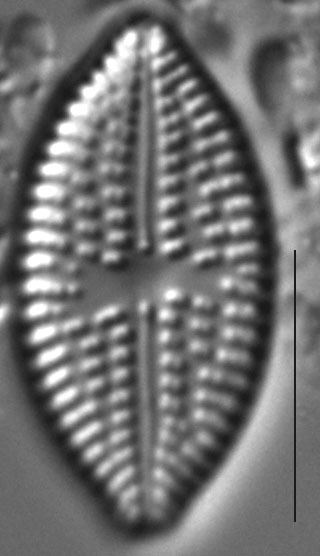 Areolae in the central region are transapically elongate and number 8-12 in 10 µm. 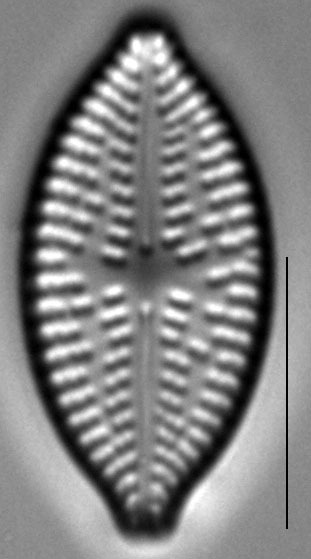 Areolae are secondarily aligned in 1-2 undulate longitudinal rows alternating with longitudinal hyaline areas. 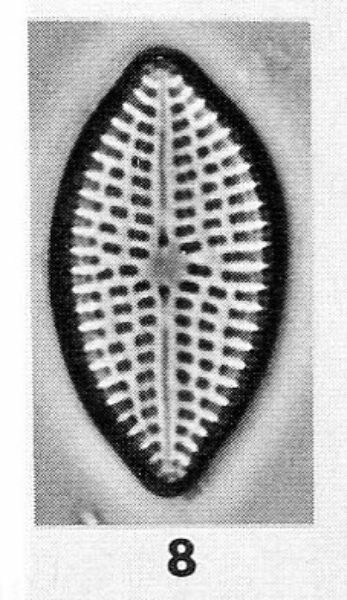 Hustedt (1930) published an illustration of Navicula tuscula fo. minor without a description and thus the name is invalid. 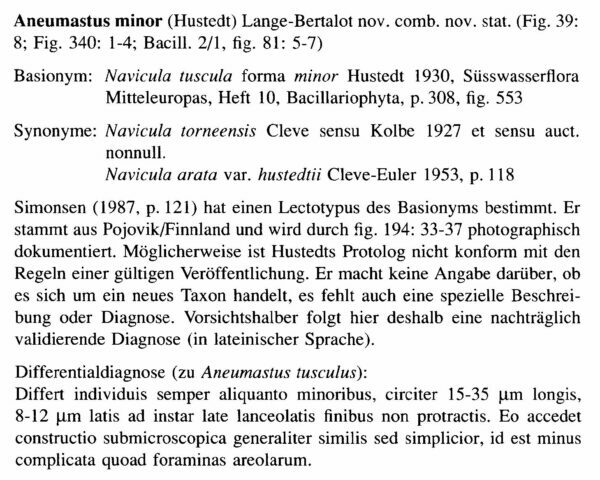 Lange-Bertalot (1993) intended to publish Aneumastus minor in as a new combination of this taxon, but instead he effectively published a new taxon. Aneumastus minor has been collected from mountain lakes and rivers in western Montana and from slow-moving streams on the Northwestern Great Plains. One of these sites, Big Therriault Lake (shown below) had a pH of 9.05 and a specific conductance of 176 µS/cm on the sampling date. Lange-Bertalot (2001) reports that this species prefers eutrophic, chalk-rich standing waters. Although also found in remote and relatively pristine waters, It is perhaps the most tolerant of pollution among Aneumastus species in the United States. 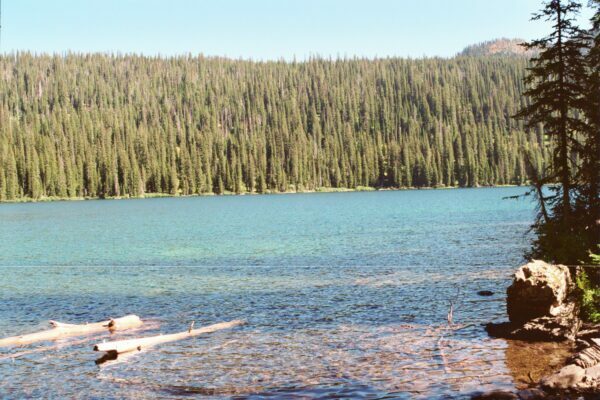 Big Therriault Lake, Ten Lakes Scenic Area, Kootenai National Forest, Montana: home of Brachysira zellensis. 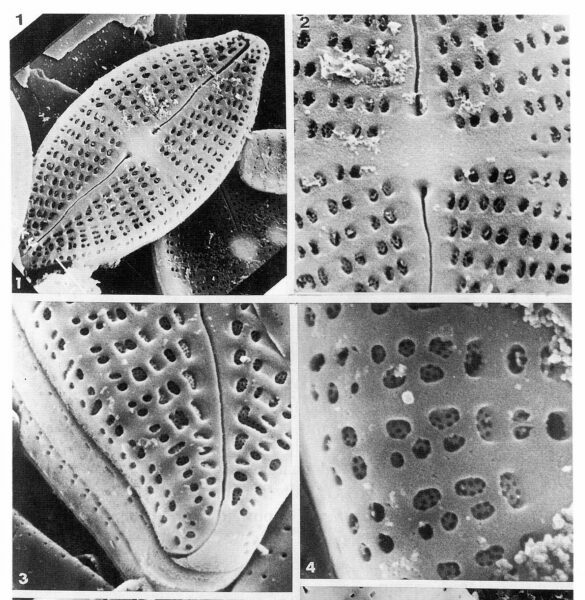 Hustedt, F. (1930) Bacillariophyta (Diatomeae). In: Die Subwasser Flora Mitteleuropas (A. Pascher, ed. ),10, Gustav Fischer, Jena. 468 pp. 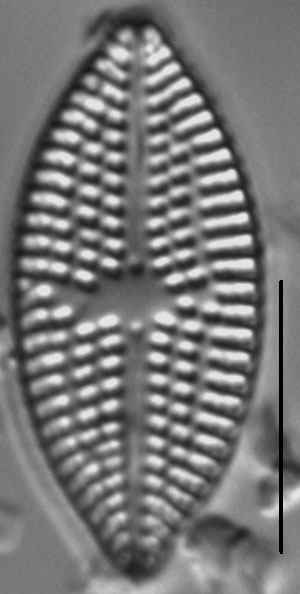 Aneumastus minor has small elliptic, to broadly lanceolate, valves. Valve length is less than 35 µm. Apices are acute with either unprotracted or weakly protracted blunt ends.